Note: The Tazotix app only works with events created after the Multi Ticket update. 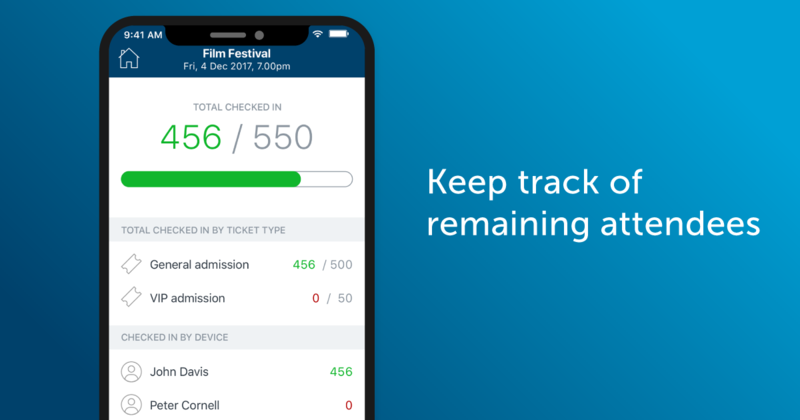 For classic events, please use the Classic Ticket Tailor check-in app. The app's Dashboard is excellent for keeping track of your event check-in progress. 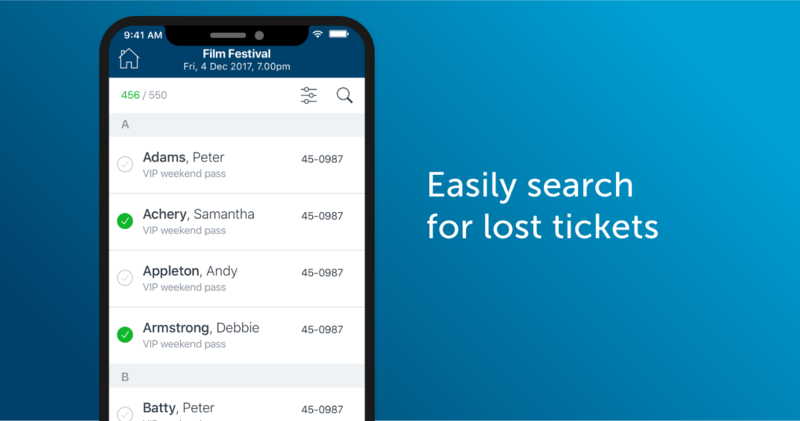 The clean interface displays the total event check-ins, check-ins by ticket type, and check-ins from individual devices, which is useful for monitoring footfall traffic at large events. 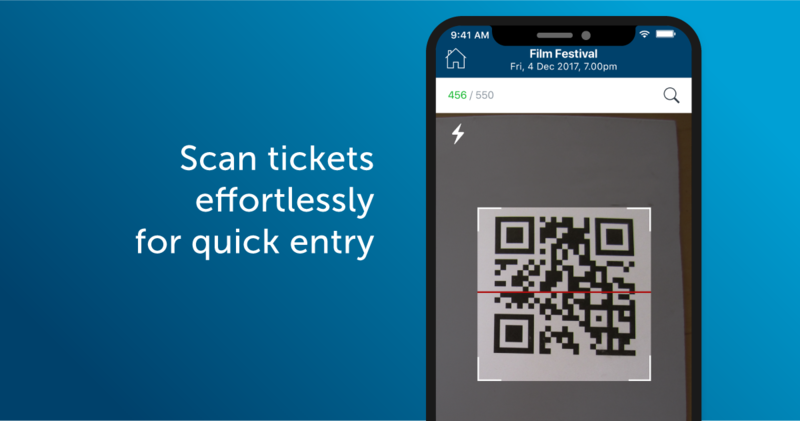 Using the app's Scanner, users can quickly check the validity of a ticket by placing the ticket barcode in front of the device camera. It's quick, effortless, and includes a flashlight for scanning tickets in low light. Once a ticket is scanned, if it's valid, the app will show a success message and play a confirmation sound. If a ticket is not valid, the app will display an error message and vibration alert. If you'd prefer to use a checklist instead of a scanner, the Doorlist tab allows the user to scroll through attendees and check them in with a simple screen tap next to the attendee’s name. If a customer doesn't have their ticket to hand, door staff can search for the ticket by using the attendee's name or ticket number. The ticket can then be verified with personal details such as the order email address. 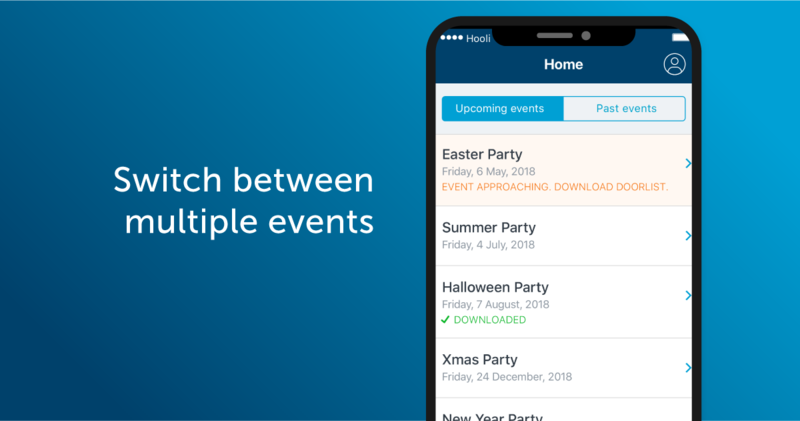 The Tazotix check-in app will automatically receive all events you create, making it easy to switch between multiple events. 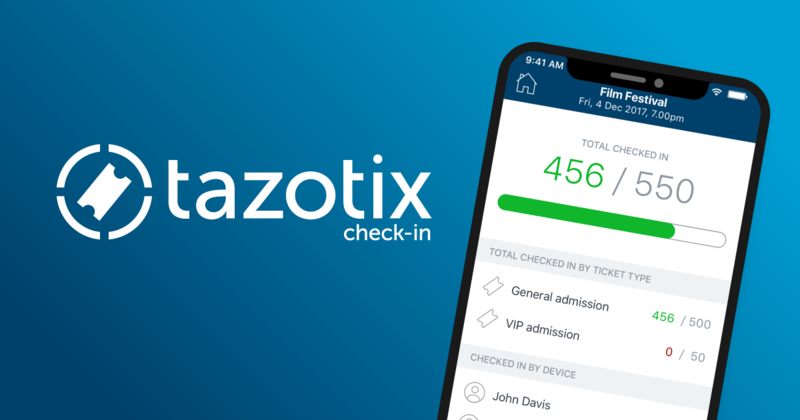 The Tazotix check-in app can be used simultaneously on multiple devices making event check-in even faster for larger events. 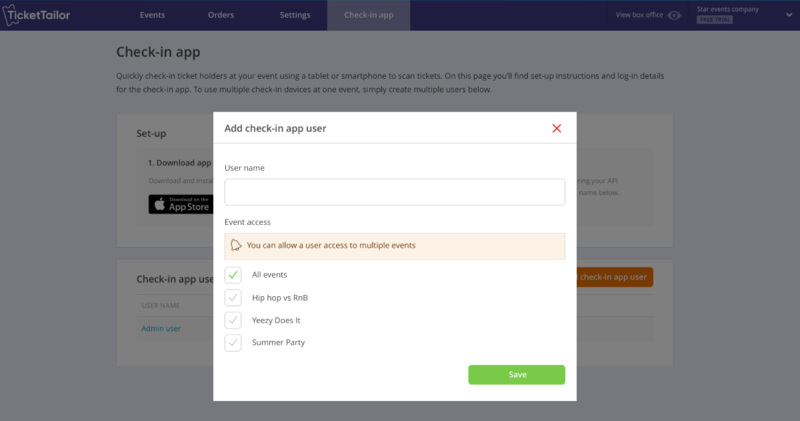 As a Ticket Tailor customer, you automatically get assigned login details for the app. To create additional user login profiles, visit your Ticket Tailor control panel and click the Check-in app tab in the primary navigation. Here you can create new users, and also revoke access for users logging into the app, which is useful when hiring temporary staff for your events. When multiple users are using the app, check-in data will automatically sync between devices if all devices have an internet connection. If the device has no internet connection, the app will continue to function as usual, but without synchronisation enabled. When the app regains an internet connection, the app will synchronise with any linked devices and the Ticket Tailor control panel. The Tazotix check-in app is available now from the iTunes store and the Android Play store.